It's slightly crazy to think Summer has been and gone and Autumn is just around the corner. 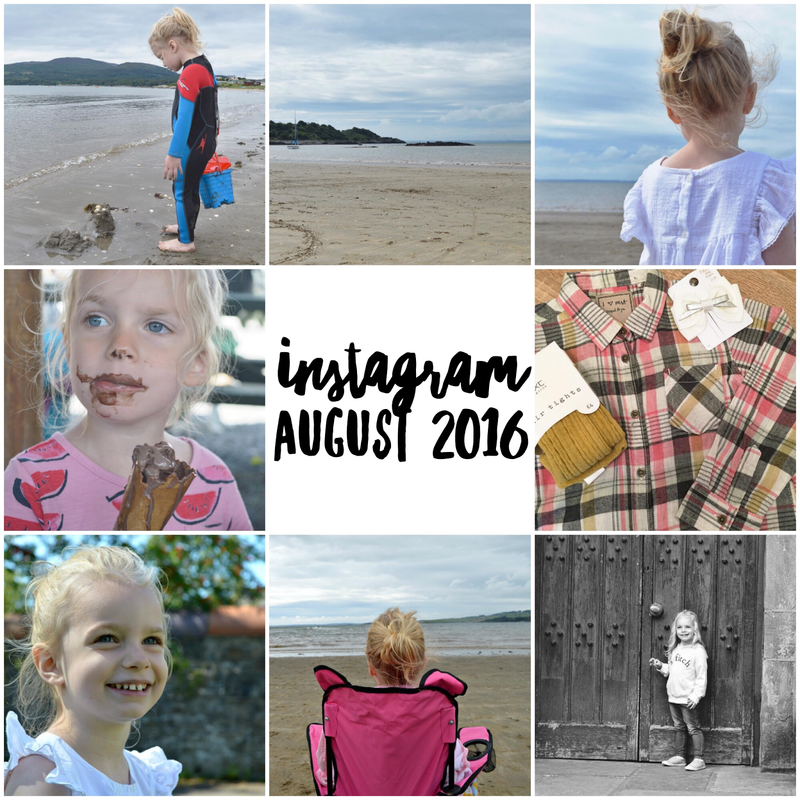 I wanted to do another of my monthly roundup of my favourite photos, which I have shared on Instagram throughout the month. 1. I absolutely love this photo of Sophie which I also shared in my post about our family holiday to Scotland. We were on the beach and the tide knocked her sandcastles over.. she wasn't best pleased, as you can imagine! 2. We spent so much time on the beach when we were away. There's something so relaxing about it and it was lovely to see Sophie having so much fun too. 3. I've taken so many photos on my camera this month and this shot has got to be one of my favourites. 4. You seriously can't beat freshly made ice cream from Cream O' Galloway! 5. I recently picked up some bits to make a start on Sophie's Autumn/Winter wardrobe and love the few bits I found in Next. 6. Another one of my favourite photos of Sophie. Again taken in Scotland on a visit to Kirkcudbright. 8. I literally only took this photo a couple of days ago, where we went on a walk to the park. Did you get up to much throughout August?